Online ordering menu for Saki Asian Restaurant. 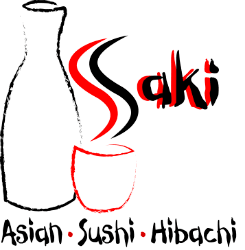 At Saki Asian restaurant we offer Chinese, Thai, Vietnamese, Japanese, and Korean cuisines on our menu. Don't forget to try out our extraordinary sushi and hibachi! —————————————————————Located off of NW 64th Street, next to Bank of the West. Currently offering carry-out via online ordering.